The Global Education Research and Development Initiative (GERDI) is a service learning and community outreach program offered by the University of Windsor, Faculty of Education. It provides teacher candidates and graduate students with opportunities to actively participate in meaningful international service learning in a developing world context through an alternative practicum. Please visit our website at www.teachersfortanzania.com. GERDI focuses on the problem of orphaned and vulnerable children (OVC) in the East African country, the Republic of Tanzania. Currently the project focuses on children of the Kititimo Center for Orphaned and Vulnerable Children in the town of Singida. The project also involves working with two primary and three secondary schools. We also work with the O’Brien School for the Maasai in Kilimanjaro. which will be held at the Faculty of Education during orientation. 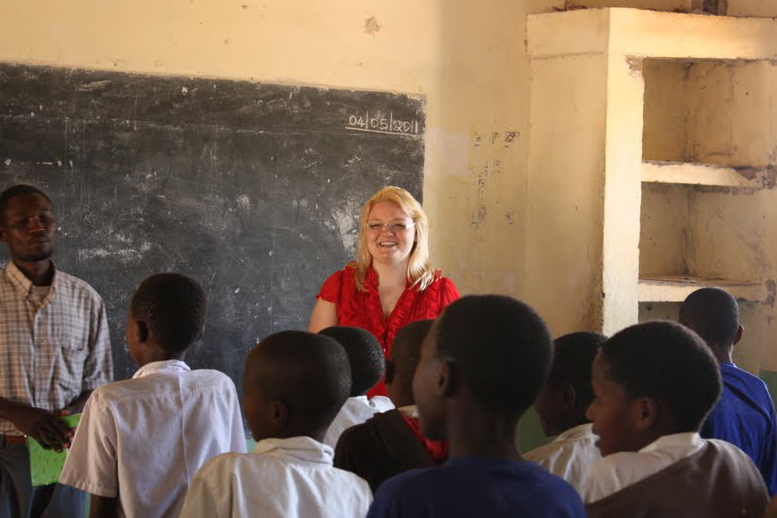 However, if you wish to learn more about the project, please visit our website at www.teachersfortanzania.com. Praising a chance to open their eyes to a different view of education, Windsor teachers discovered the importance of education, community, and supporting those in need. Cole Parent feels he has found his second home and plans to return. “I have learned to be an advocate for all children throughout the world. I have learned that many children face a cycle of failure in their personal and educational lives and this needs to be changed. I have learned that education should inspire hope, dreams, and a positive attitude. Tanzania now feels like a second home and I can guarantee I will return as soon as possible.” This experience will be drawn upon as Thompson, Parent, and O’Gorman begin their teaching careers and they are thankful to the University of Windsor and the faculty for the opportunity. “I will treasure this trip for a lifetime, and I wish many more of my fellow teacher candidates could have had the same experience, as it has dramatically influenced my views on the value of education and being a quality educator” (Patricia Thompson). I was drawn to this opportunity because I wanted it to change me; change me as a citizen, an educator, a mentor, and since returning I can firmly state that I am a changed person! I no longer look at things the same way; education is not only a right but a privilege, families are built on love not on tradition, and hope is something that comes from the inside, an essence that cannot be affected by the environment in those who are strong. As a newly hired teacher, I remind my students that in Tanzania, if you do not pass your grade 7 exam on the first try, you are not allowed to attend high school, so that they should feel privileged. As a Big Sister, I am reminded that love and happiness does not necessarily come from the “nuclear family” but from a supportive group of individuals who work together. I can now never forget the hope I saw in the eyes of those children at Kititimo, who have suffered greatly, and yet still manage to have a smile on their faces, a fact which keeps me smiling and hoping through all trials and tribulations. I miss them greatly and can only hope that more people will have the experience of meeting such inspirational children and young adults". These children will open your hearts, your minds, your soul and your perceptions of life itself. You will empower them with hope, as they will empower you with courage and compassion. Encourage them to believe in their dreams, as from the moment you meet them, your dreams will have become a reality. Allow yourself to give everything you have to these children, for they would give you ten times more! Open your minds...everyone will be changed forever. Team Singida for life!